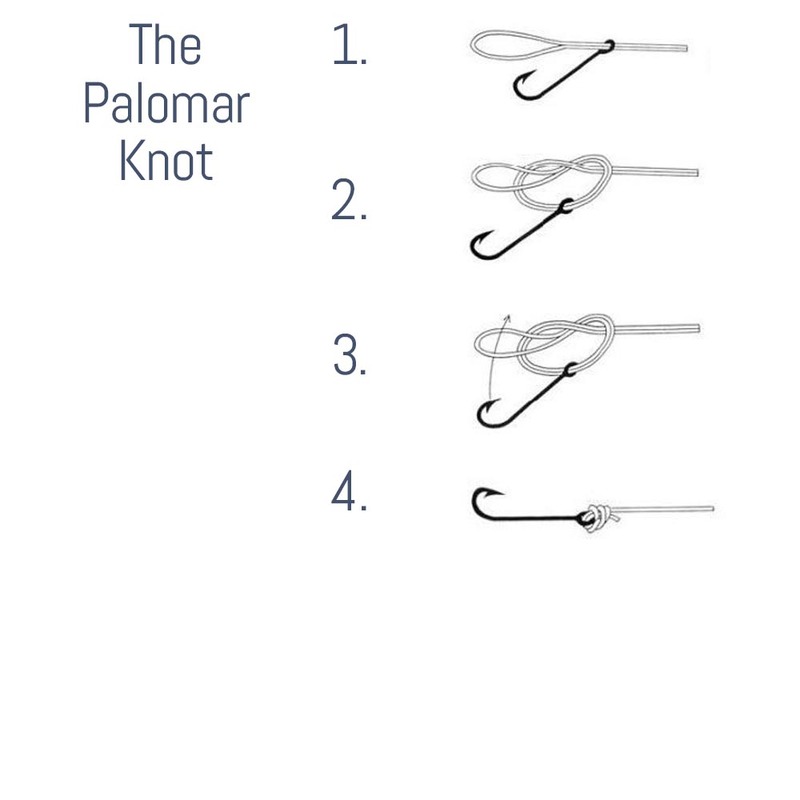 The Palomar knot is the knot I use to attach mono lines to lures and flies. 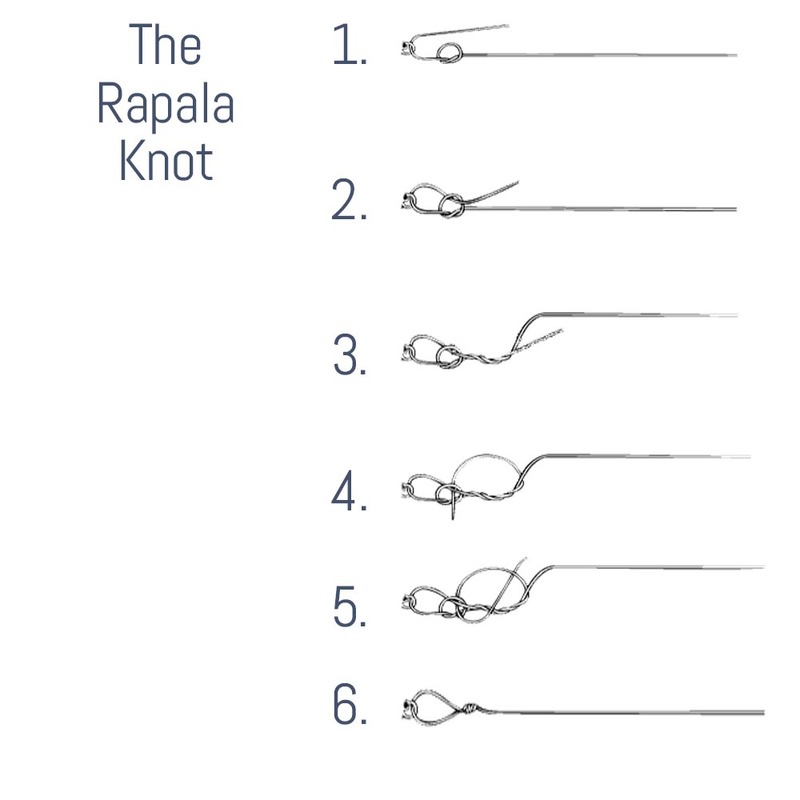 The rapala knot is the knot I use to join all top-water and minnow style baits to all types of line. I do remove all the split rings on these style baits. 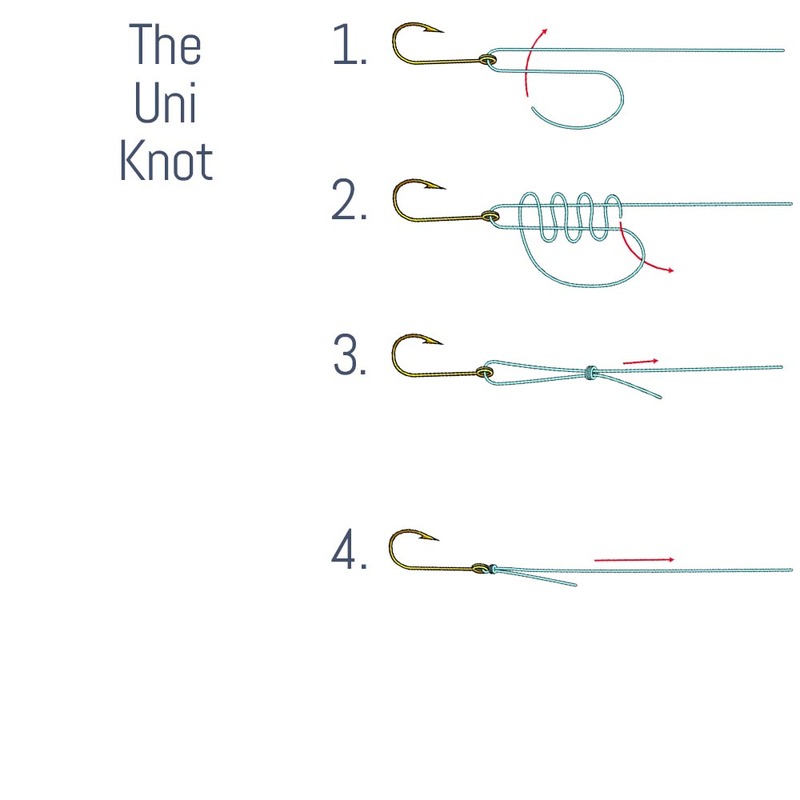 The uni knot is the knot I to tie flies with fluorocarbon tippet from 7x to 5x to flies. 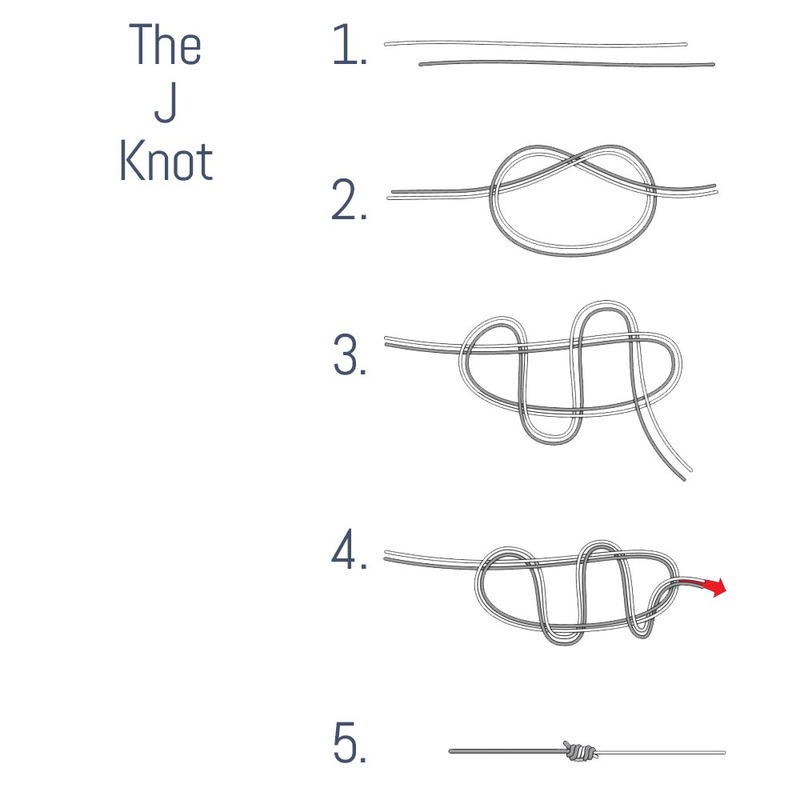 The J knot is what I am suppose to use to join a tippet to my leaders, this is suppose to be the strongest knot for joining your tippet. 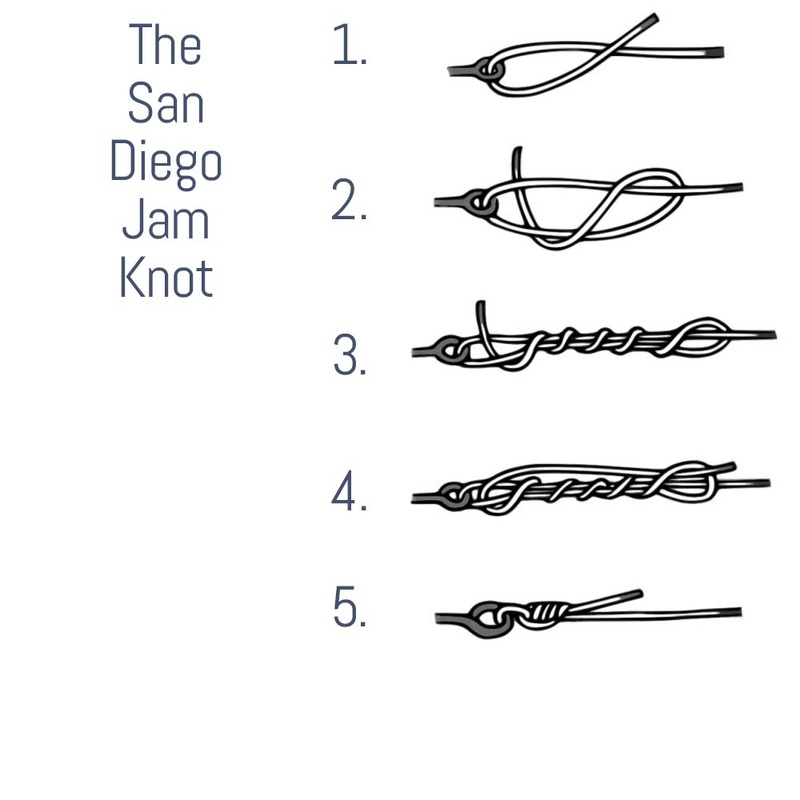 (I have used it some but have so much confidence in the double uni knot that don’t use it). 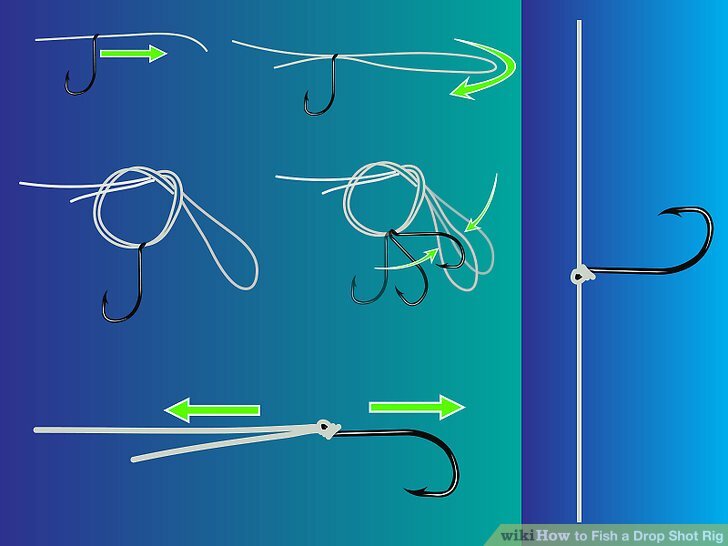 The San Diego Jam Knot is the knot I use to join fluorocarbon line over 6# to my lures, (I use a 5 turn instead of the 7 turn shown with lines). The drop shot knot is used for attaching a hook to fluorocarbon, I also tie a swivel bout 3′ up the line to either mono or braid main line. 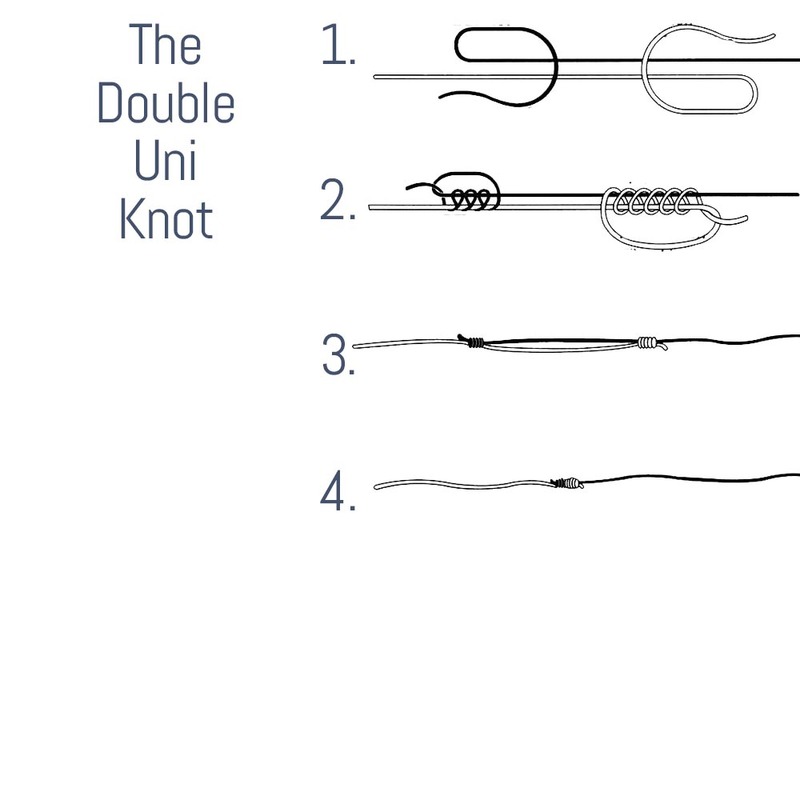 The double uni knot is what I mostly use to join my tippet to my leaders. (I use 5 turns on each line).